Child Finally Talking? 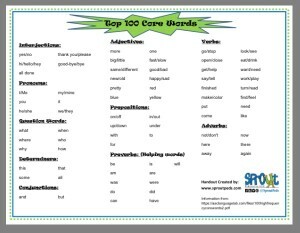 Top Core Words to Target Next! Many children work really hard to get to those first word approximations! 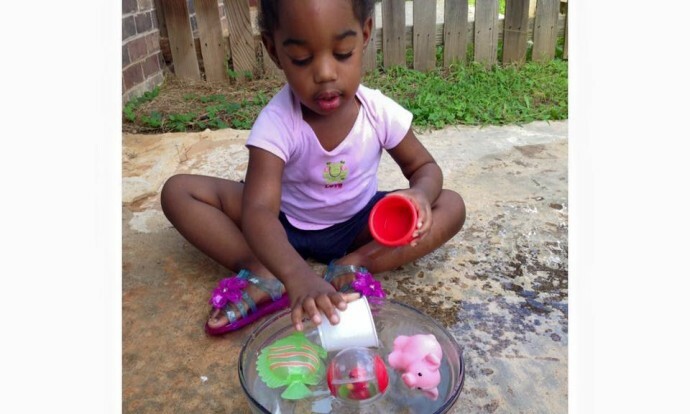 Words like mama, dada, bah bah…they don’t always just emerge so as Speech-Language Pathologist we often encourage sign language or pointing and choosing pictures as a way to stimulate the expressive language to emerge. We know that children who have a good vocabulary will be stronger students and have less behavioral issues as they can use their words rather than their physical skills to get or communicate their needs or desires. Once they begin to talk and imitate sounds or noises, what’s next? We find that encouraging play and imitation with these four categories of words are not only functional but easily imitated and useful! Your child may already being using interjections such as: wow!, yuck, ooh, oops or uh-oh, but helping them learn this next phase of interjections advances their ability to answer simple questions as well as being social. These words are tops on our list! Not only will you praise your child when they use these words, so will family members and strangers! We use these word often when giving directions to our young children. “Get the remote that’s on the table.” “Put your toys in the toy box.” “Look up there’s an airplane!” As you play and interact with your child, make a point to use these words often and don’t be afraid to use hand over hand assistance to model the correct positional placement as you play. The more often your child hears and has opportunity to use these words at home, at school and out in the community the quicker these words will become part of their expressive vocabulary.